The farther I walk this giant, lovable Wolfhound, the better we both feel. I’m sure it drives up my metabolism, and I know it’s good for my back, and my attitude. I am trying to express myself even more on this site. This is a deliberate counterpoint to the tweet/fakennews/hashtag scene that seems to be destroying real thought, particularly in regard to journalism and politics. I’m not saying I’m some kind of “bastion of truth” in a wilderness of lies, as much as I am taking another step away from the clatter. Religious Freedom in the Home? Someone told me recently that his wife kicked him out of their house for expressing his religious views, about which I was incredulous. Abby and I have always accepted the differences in religious belief in each other, and it has never come between us even once. 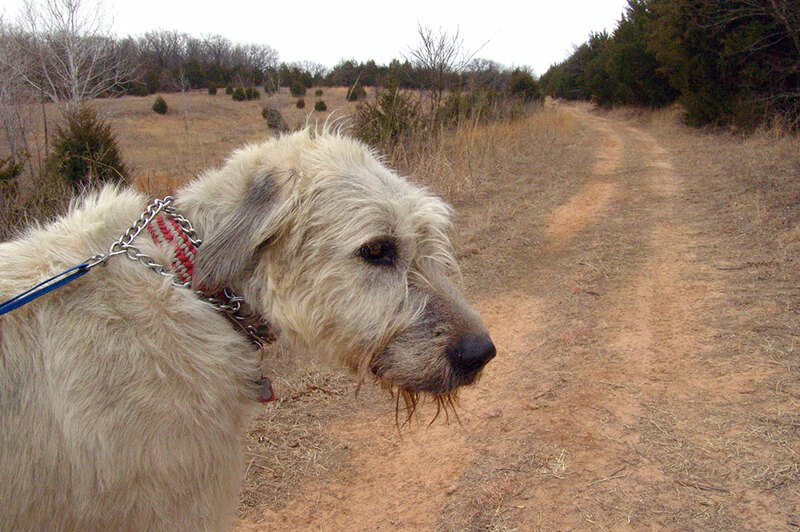 Hawken the Irish Wolfhound and I walked three miles yesterday afternoon, prowling even deeper into the woods, oil leases, and homemade ATV trails. Every walk is another adventure. 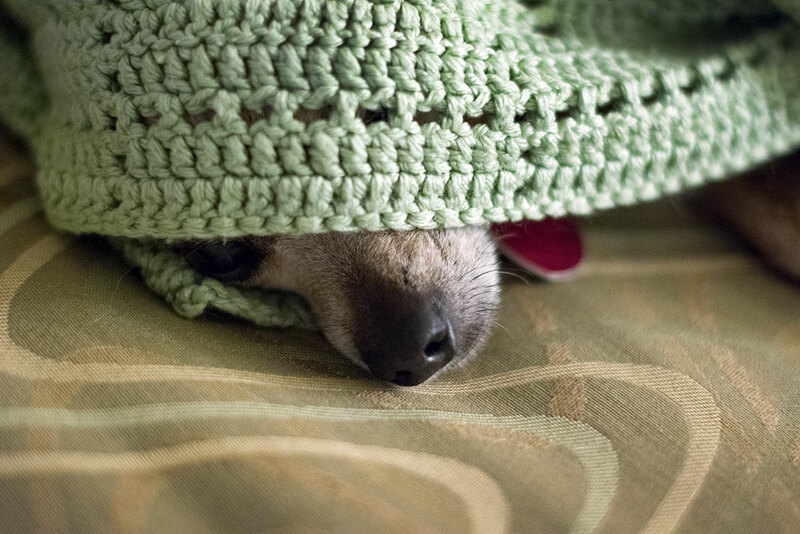 It’s important to remember that we not only love the new Wolfhound, we still love our Chihuahuas, including Max’s nose. All this walking has been good for my Photographer’s Syndrome (also known as achy breaky back.) The longer we walk, the better it feels. Also, I’ve said it before, but I’ll say it again: I am very grateful that I have such healthy feet. They never hurt. Even after three miles up and down over varied terrain, with a dog in tow, my sidearm on my belt and a camera on my shoulder, my feet feel just as they did before we went, fine. I just finished teaching a very engaged beginning digital photography class. Everyone seems to understand, learn, connect, and have fun. This is why I love teaching the most. An important concept of which I am always mindful: make eye contact with everyone, but especially with those who seem lost or stalled. It engages and involves them in the lesson. I sometimes wonder how much of the bitter anger we see around us comes from people simply being in pain. Why was the Burger Barn waitress so hateful to us just now? Shingles? Hemorrhoids? Knee pain? Maybe she just got an eviction notice? A divorce decree? Blinding abdominal cramps? Why was that Sangyamnischi customer service guy so condescending? Maybe he just got demoted? Bad news at home? From the doctor? We like to pretend our generation, the internet generation, invented fake news, propaganda, half-truthing, mass hysteria, but we didn’t. The lies on social media are the result of human nature. Think about it. Did Stalin ever tweet? Did Pol Pot have a fake news MySpace page? Did the Spanish Inquisition post their manifesto on their blog? Yet, how many purgatories are self-imposed? How much suffering is in the hands of the shallow and dramatic and childish? We filter the world through idealism. We expect everyone to be on their best behavior just for us, even if we don’t give that best behavior to the rest of the world. So sure, little things matter. Yes, sir. Thank you, ma’am. You look sharp today. I’m glad to be here. It was a pleasure talking to you. My favorite at work: “Thank you for reading The Ada News.” Sure, it’s manipulative, but with all the right motives. 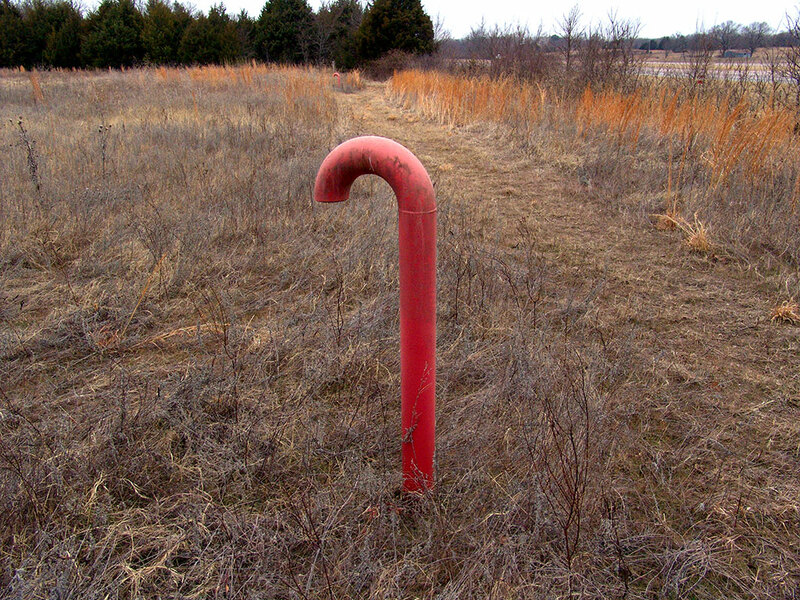 There’s always something to discover when you walk, from pennies on the sidewalk to these standpipes that resemble candy canes. In a car, it all flies past the window, unnoticed.